I have been really occupied with a lot of things, and preparing for something big. So yes, finally... A new blog post! I will try my best to sneak in some blog time for I have so much backlogs. 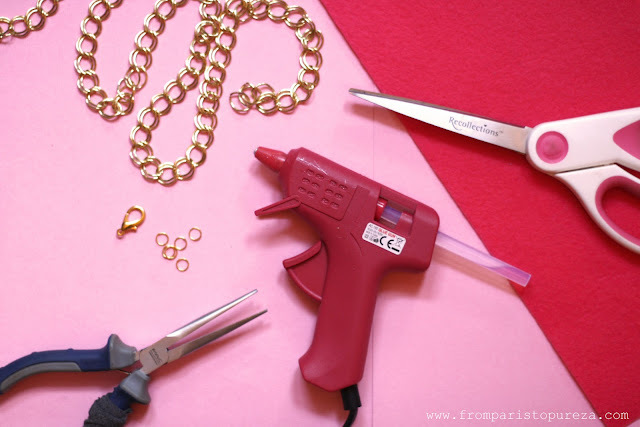 You will need the basics: a pair of scissors, glue gun and sticks, felt fabric, pliers, jump rings, lobster clasp, gold chain. 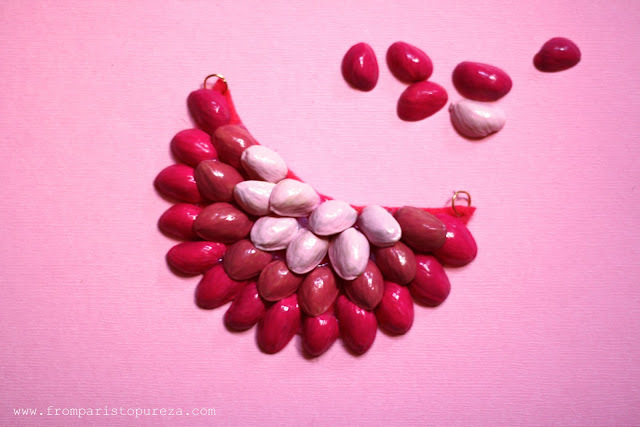 Step 1: Paint the pistachio shells with a nail polish and let it dry. I want to have an ombre effect so I have chosen three different shades of pink and all are from MUA (Bright Coral, Amaretto Crush, Natural Days). 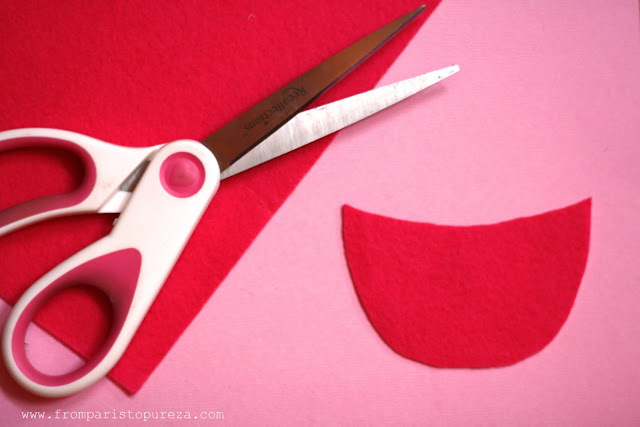 Step 2: Cut the felt fabric into your desired shape, this is going to be the base of your neck piece. Step 3. Put the jump rings on both sides of your base. 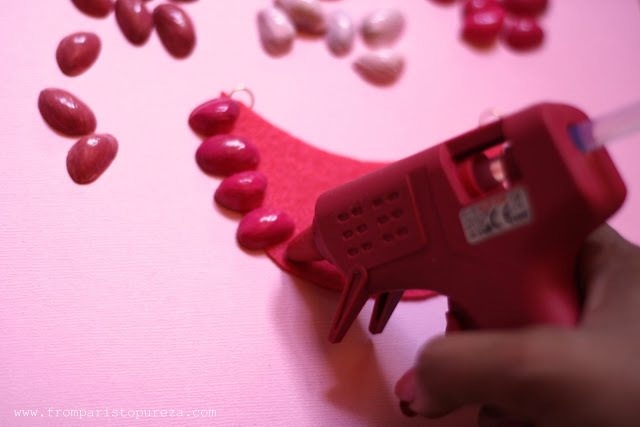 Then start putting each colored pistachio using a glue gun. Step 4: You can make a pattern as you like on how you glue them on. 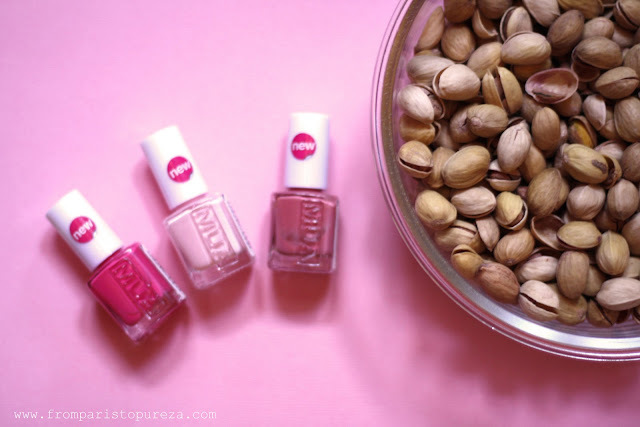 For ombre, glue on the colored pistachio from darker to lighter or vice versa. Do it until it covers the entire base. Step 5: Connect the base and the chain together. 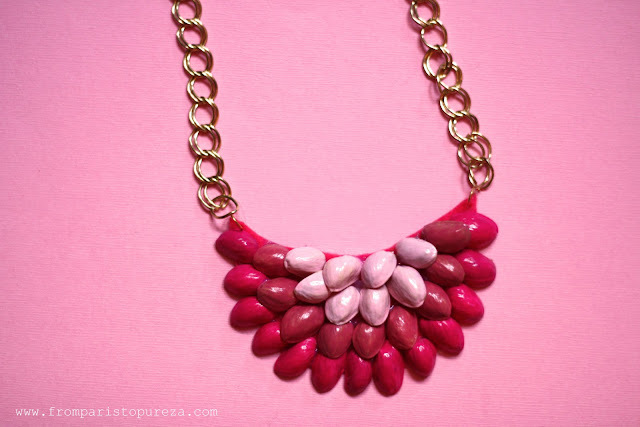 Put the clasp at the end of the chain. And basically, you're done! 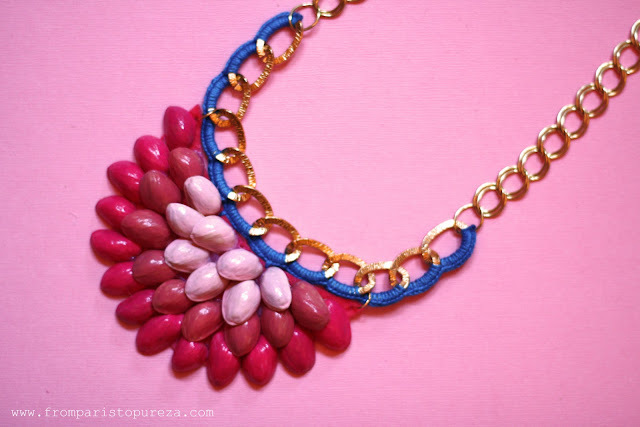 You'll be needing another chain and crochet materials. Cover one side of the chain using the basic crochet method. 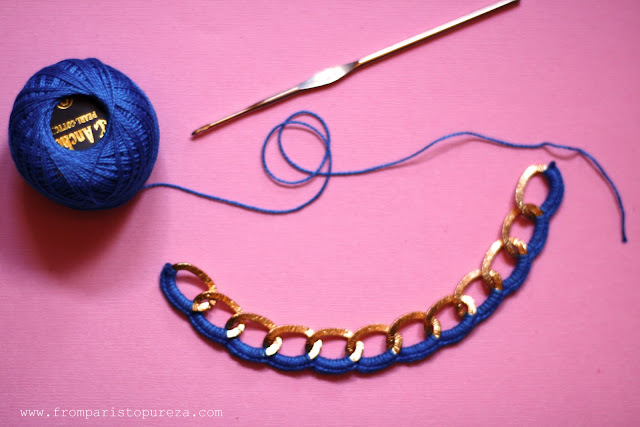 Then connect the base, the crochet chain and the chain. DONE!